If you are looking for a distinctive home with classic elegance nestled in an exclusive Encino community, look no further. This Lake Encino Gated Estate boasts stunning interiors in a tropical setting. The dramatic two story foyer features crown moldings, marble floors and a custom wrought iron staircase and chandelier. Venetian plaster walls grace the interiors as well as custom draperies, French doors, and hand painted ceiling medallions. The chef’s kitchen is equipped with commercial grade appliances including a Viking range and a Fisher-Paykel dishwasher. Maid’s quarters, a laundry room and a cigar humidor adjoin the spacious kitchen. Upstairs there are five bedrooms including a master suite and a tremendous media room fully equipped with professional screening equipment including a projector and screen. The master suite boasts a stone shower steam unit with multiple shower heads and body sprays as well as custom wardrobe closets, dual vanities and bidet. The grounds surrounding the estate are immaculately groomed with custom pottery accents and flowing fountain as a focal point. Other outdoor features include a pebble tech pool and spa, wet bar, outdoor fireplace and sports court. For more information or to view this lovely estate please contact me or visit http://www.lakeencinoestate.com. I’m Carol Wolfe and nobody does it better. met with new clients who are moving to the area. During our initial meeting the couple told me they are moving here to be closer to CARD, the Center for Autism and Related Disorders, which has its world headquarters in Tarzana. My clients made the decision to move here after their child was diagnosed with autism. While so many people move to the area to enjoy the weather or for a job opportunity or simply to seek fame and fortune, this young family has moved here to get the best autism therapy available in the world. I have driven by the CARD building on Ventura Blvd. probably a million times, but meeting this family and hearing of the miracles that take place there has made me even prouder to live in this wonderful community. If you are relocating to the Los Angeles area I hope you’ll allow me to be your Realtor. I’m Carol Wolfe and nobody does it better. If perfection is what you seek, you won’t want to miss this fabulous Mediterranean Villa in the heart of the exclusive Amestoy Estates. This estate shines as an example of immaculate taste and attention to detail. From the circular drive that showcases the superlative stone accented exterior to six exquisite en suite bedrooms this home has it all. The chef’s kitchen boasts a commercial Wolf range, a Miele dishwasher and the latest Pro-48 Sub Zero with glass doors. The master suite features a stone fireplace, walk in closet with spa tub and separate shower. The rear grounds delight with a fenced pebble – tech pool, complete with pool house and children’s play area. This home shouts value from top to bottom and is full of luxurious upgrades. Offered at $2,450,000 this 5,670 sq. ft home will not be on the market long. Contact me to view this exquisite home. I’m Carol Wolfe and nobody does it better. As an architectural specialist, I am privileged to work with some of the most inspiring and innovative homes this side of the Rockies, but it has also given me the gift of seeing a home’s potential. Frequently I will list home with great potential with a great price and it will sell almost immediately. One of the realities of the current market is a good deal won’t stay on the market long. The Gaynor home was exactly that kind of property, 2 bedrooms, 1.75 bath traditional with 1,571 square feet of space, located on a huge lot (nearly 10,000 square feet), with an impressive oak standing sentry in front. It featured beamed ceilings and brick fireplaces in the living room and den and endless possibilities for expansion. With a great location close to Ventura Boulevard in the Hesby school district, this home offered tremendous value. 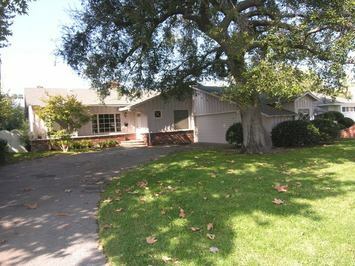 I listed the home and it had almost immediate offers and has already closed escrow. It is so important for potential buyers to realize that properties with great prices move quickly in this market. There is no time or room for hesitation. This fabulous home was “snatched up” before the other buyers had a chance to think it over. If you are interested in great properties at great prices, give me a call. My name is Carol Wolfe, and nobody does it better. For most of us this time of year is full of excitement and preparation for “Back to School!” School is such an important part of our children’s lives and by extension our own lives. When you have school age children knowing about school districts and individual schools can be as important in the home buying process as the number of bedrooms a house has. For that reason I’d like to highlight some of the individual schools in our area. 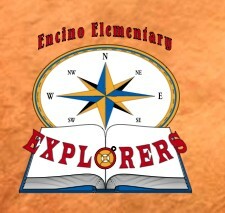 Encino has a lot to be proud of and our schools are certainly one of our shinning achievements. Today I would like to focus on Encino Elementary School. Encino Elementary School is located at 16941 Addison Street. This lovely K-5 school has a three star parent rating on www.greatschools.net. The teacher to student ratio averages at an amazing 1:15, and the school is known for its high parent involvement.